I love savory things for breakfast. 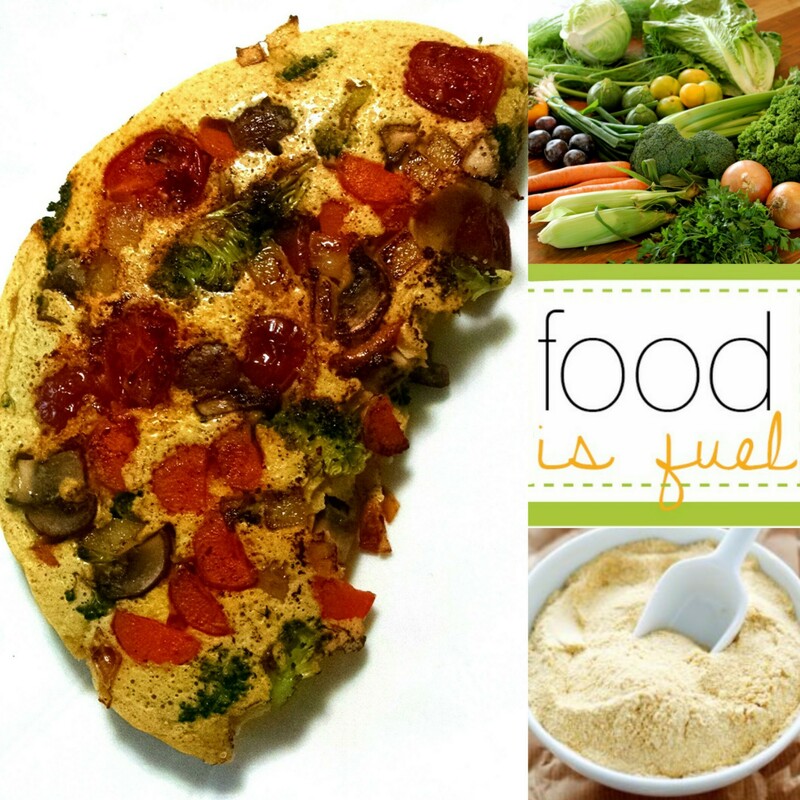 Sometimes I really miss a big pile of scrambled eggs and veggies…so what do I do? Toast with avocado is great. Oatmeal and smoothies are good, also. But what if I want something…more special? This beauty is packed full of veggies and fiber and protein(17g!!) that will keep you full and happy for hours!! Now, don’t get me wrong..this, to me, in no way resembles or replaces eggs in flavor or texture but it is DELICIOUS nonetheless! It is almost like a veggie filled pancake. Whatever you decide to liken it to, you will love it. Saute the veggies over medium heat in either coconut or olive oil until as soft or crunchy as you like. Meanwhile, make the batter by whisking together the chickpea flour, nutritional yeast, and salt & pepper. This is also where you would add any other spices you like. Cumin, basil, oregano, & chili powder, for example, would be super tasty! Pour the batter over your veggies and DON’T STIR OR MOVE IT. Let it cook for about 4-5 minutes then fold it over on itself and cook for another 1-3 minutes. Play with the doneness and cook time because I know some people like theirs a little undercooked whereas I like mine cooked through. Posted on September 29, 2015 January 6, 2017 by OregonKitchenPosted in VeganTagged Breakfast, healthy, healthy breakfast, Omelet, vegan, vegan breakfast, Vegan omelet, Veggie omelet.